Established in 1933, E. & J. Gallo Winery is the largest winery in the world. 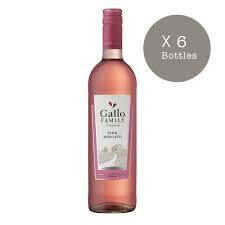 Today, Gallo Winery remains a family-owned company with products available in nearly 100 countries. Gallo family has passed on a love of making great wine for four generations. At Gallo Family Vineyards, we craft approchable fruit forward wines that complement life’s every day moments. We work with a wide range of flavors ready to be paired with all types of food and appropriate for any occasion. When Something is good, pass it on.